With an enormous inheritance of antiquity often situated along the sea, a day at the beach is a trip back to ancient Greece, the Roman Empire, or into the crumbling remnants of the Byzantine era. Turkey’s almost 4,500 miles of coastline and 314 beaches meet the stringent Blue Flag criteria. Turkey’s Mediterranean shore, called the Turquoise Coast, is scattered with fine-sand beaches and classical cities turned to picturesque ruins. With the bounty of its many gulfs, the sound of the call to prayer, the jasmine and citrus-scented air, and delicious cuisine, the Turquoise Coast is a feast for all of the senses. The Taurus Mountains form a dramatic backdrop along much of the coast, often dropping steeply into the sea. 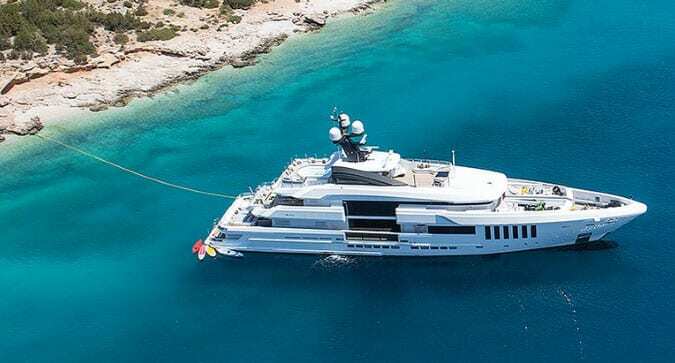 The stretch of coastline in the South-West from Izmir via Kusadaşi, Bodrum, Marmaris, Fethiye and Kaş to Antalya – is an ideal cruising ground, usually divided into four different yacht charter areas, The Ionian Coast, The Carian Coast, The West Lycian Coast, and The East Lycian Coast. 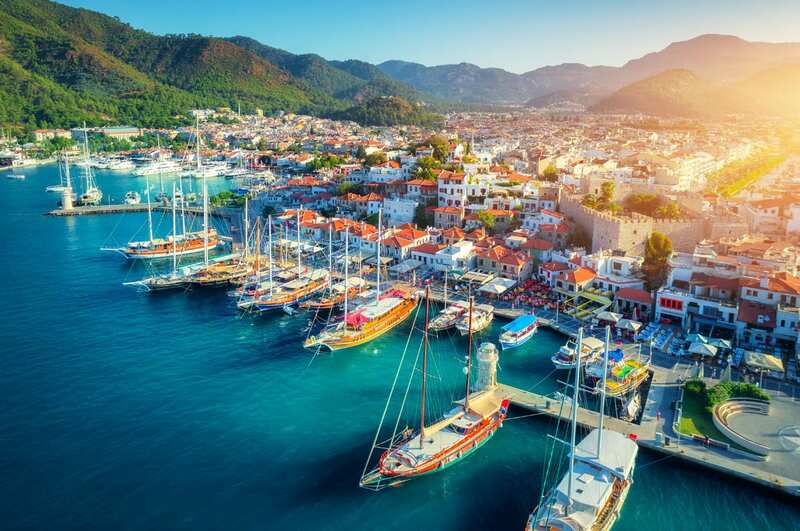 Bordering the Ionian Coast in the north and the Lycian coast in the east, is the Carian coast, running from Bodrum to Marmaris, the two largest yacht hubs of Turkey. Some believe the Carians to be indigenous to the region, though Herod, the Roman King, believed them to be exiled subjects of King Minos of Crete. The culture was Hellenized during the time of Alexander The Great. This great coast is indented deeply and splits the Aegean and Mediterranean Seas. Ancient rock tombs, Byzantine basilicas, Ottoman era cisterns and spots for summer revelry are found here. 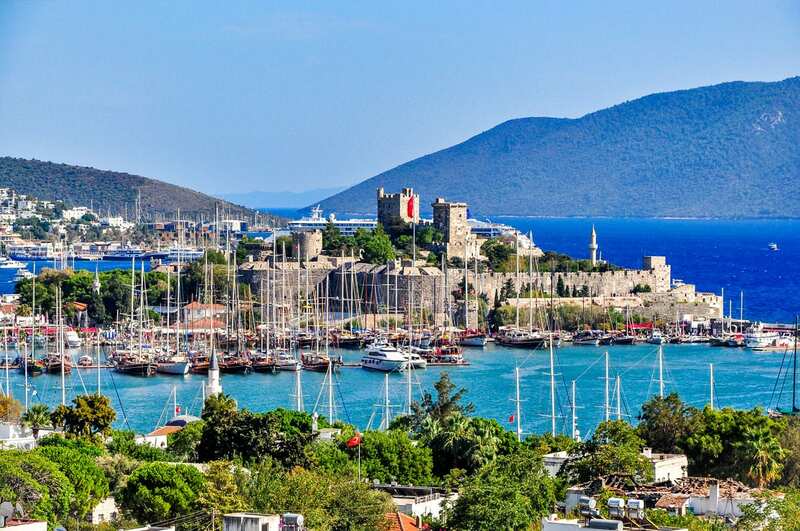 Bodrum is the bustling city on the Bodrum Peninsula which features twin bays with views of the 15th Century Bodrum Castle which now houses the fascinating museum of underwater archaeology. This medieval fortress was built partly with stones from the Mausoleum at Halicarnassus, one of the Seven Wonders of the Ancient World, completed in the 4th century B.C. The city is also a gateway for nearby pristine beach towns and picturesque fishing villages. On the southern tip of this coast, the bay of Marmaris lays like an emerald nestled into the friendly, pine-clad mountains. Take a stroll down the seafront promenade, splash on the pebble beach or explore the ancient Castle of Suleyman. The old town with its cobblestone walks is lined with clubs and restaurants with al fresco dining. Once a rich town known for her marble trade, now Marmaris is a bustling resort town blending both the ancient and vibrant modern towns. 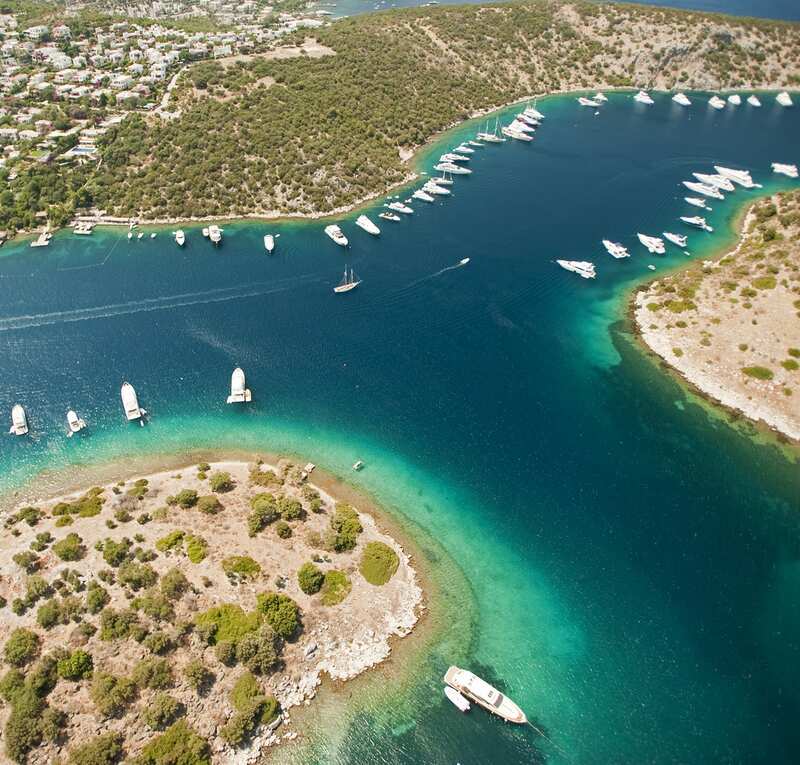 Turkey's Ionian coast is a haven for yachtsman who want to feel spoiled by less crowds and fewer fellow boaters as the Carian and Lycian coasts are more popular routes, allowing for anchorages in splendid quiet coves and the exploration of tiny villages at ease. The Mediterranean waters do not disappoint and a Meltemi breeze, common in the Greek Cyclades, sweeps through in peak season. Heading South from Izmir and reaching Bodrum via the 'Saint Tropez of Turkey' (see below) is a lovely route. The area of Izmir hosts lush flora and greenery due to the environmental protection in the area, and quaint villages due to restrictions on building development here. Cesme, 'fountain' in Turkish, is known for its fresh water sources and fertile plains. The famous archaeological site of Ephesus, richly endowed with marble temples, mosaics, the grave of a gladiator and a 25,000-seat Theater, is worth a visit. Didim, with its Temple of Apollo and other ancient ruins that dot this coast, make a charter in this destination a cultural splendor. Kusadasi is a more happening seaside resort town, and hub for action seeking travelers and culture aficianados alike. The seaside village ports known as the Saint Tropez of Turkey are charming and romantic; no wonder Marc Anthony gifted Cleopatra this Riviera as a nuptial gift. This glittering peninsula on the beautifully rugged Turkish coast near Bodrum has hosted history's most glamorous personalities in both ancient and modern times. Herodotus, the Father of History, was born here, and Alexander The Great swept through, never managing to defeat the great city, now called Bodrum. The Mausoleum of Halicarnassus (now Bodrum) from the fourth century B.C. is the burial chamber of a local ruler and one of the Seven Wonders of the Ancient World. It stands today well preserved, spared by the effacing effects of time. White-washed villas clad in colorful bougainvillea shimmer in sunlight while lively music drifts out from vibrant seaside club and dining establishments. This is an absolute hot-spot for sun tanning in the lap of luxury. Just northeast of the resort town of Bodrum lies Torba, a small seaside village. Wonderful fresh seafood restaurants and beautiful beaches lure the yachtsman and day trippers from Bodrum alike. At the end of the bay there are ruins of an old monastery and up the hill the remains of a 2500 old Lelegian tomb. Turkbuku located on the Turkish Riviera is a protected harbor lined by hills and offers a safe harbor for yachts of all sizes. Even though there are no beaches here the harbor boasts a boardwalk lined with boutiques, shops and restaurants attracting stylish and savvy visitors. Gumusluk, a small peaceful and charming village on the water, is one of the best dining destination in the Gumsuluk Bay. The small width of the pebble beach transforms at dusk from beach chairs and umbrellas to dining tables and chairs to accommodate the flocks of tourists coming for the excellent seafood meals and beautiful views over the bay to Rabbit Island. Here lies the ruins of the ancient city of Myndos which was damaged in an earthquake sliding parts of its walls into the sea. This a a magnet for snorkelers and archaeologists alike. Cruise along the storied bays of Fethiye, Kas, Kalkan and Kekova island and to the Gulf of Antalya, where the mountains meet the sea and vast canyons, sweeping stretches of golden sand and gushing waterfalls provide the canvas upon which the ancients chronicled their stories. In Dalyan, the river offers an opportunity to cruise through the robust natural scenery and then visit the ancient town of Kaunos with its Lycian rock tombs and remains of an ancient theater. Iztuzu beach, a natural sandbar, is one of the Mediterranean's remaining breeding grounds for the loggerhead turtle. In the region of Greater Fethiye, is the captivating harbor of Göcek. Gocek, a seaside farming village and her surrounding 12 islands make for the perfect place to drop anchor and snorkel. The famed Blue Lagoon of Olüdeniz, with its wide sandy beach Belcekiz, is found here, shimmering in its natural glory. Visit Patara, Turkeys most famous sandy beach, almost 12 Km. long, and now a National Park rich in birdlife. High above the harbor of Kas is the remains of an ancient temple and a fantastic ancient Roman amphitheater. Kas was popular in the 60's & 70's with the hippies but lately Kalkan, a fishing town, has become more popular. 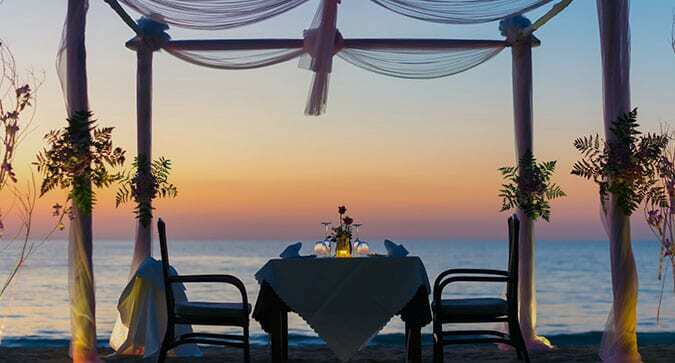 Kalkan maintains a romantic setting, nestled at the head of a large bay at the foot of the Taurus Mountains. Restored white-washed buildings with wooden balconies are draped in brightly colored bougainvillea and few famous beaches are nearby as are the historic sites of Tios and Kekova. Kekova is an island of only 2 square miles located in the Antayla Province. probably best known for its sunken ancient city, Simena, the first Democratic Federation. Kekova is now uninhabited but yachts may pass over the sunken city to gaze through the crystal blue waters to view the remains of Simena. History and nature blend as one on Kekova, offering a charming mix of ancient, medieval and contemporary. Only here, one can watch flying fish gracefully jump out of the water. Each charter is unique and we are here to help create unforgettable, one-of-a-kind experiences. Indulge your interests and passions aboard your own private yacht. We can cater custom itineraries, activities and routes to your charter party. Explore the many antiquities of Turkey, enjoy excursions through the rivers or nature reserves or kick back and enjoy the stylish nightlife scenes spread throughout the coast. Get away from it all or dig right into the culture and popular areas of this beautiful country.